This winter family session was one of my favorites! I'd be lying if I said I wasn't a little nervous, because this session was for the wonderfully talented photographer John and his family with All Heart Photography! So John if you're reading this, I hope you couldn't tell how anxious I was! I tried to keep it as cool as possible lol! Side note: I feel like whenever you're shooting a family session of a photographer - there's a littttle more pressure on yourself because you want to do the best possible and you're like "omg they're a photographer" but they're just people too! So for anyone else out there who feels this way, don't do that to yourself! The nerves went away immediately! This family was so great and let me do my thing! We gathered with friends & family to celebrate this young man's accomplishments; graduating high school! It was a wonderful party, I think you'll be able to tell from the photos all the love that was shared. Alejandro's graduation party on a lovely, warm June evening. Alejandro looking like such a grown up already! 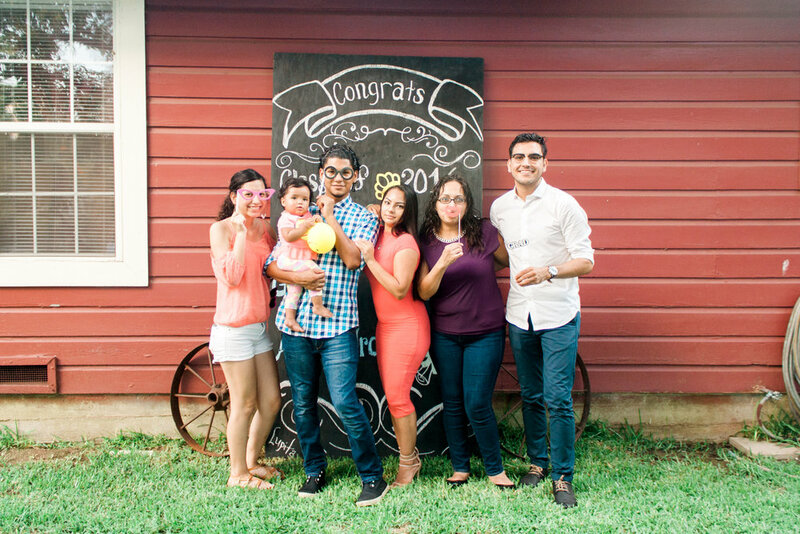 His mom & friends made that lovely graduation backdrop for the photo booth! Delicious cake made by Elida Bazan in Bryan, TX. Contact me if you want her info! Love this sign! They did a fabulous job! 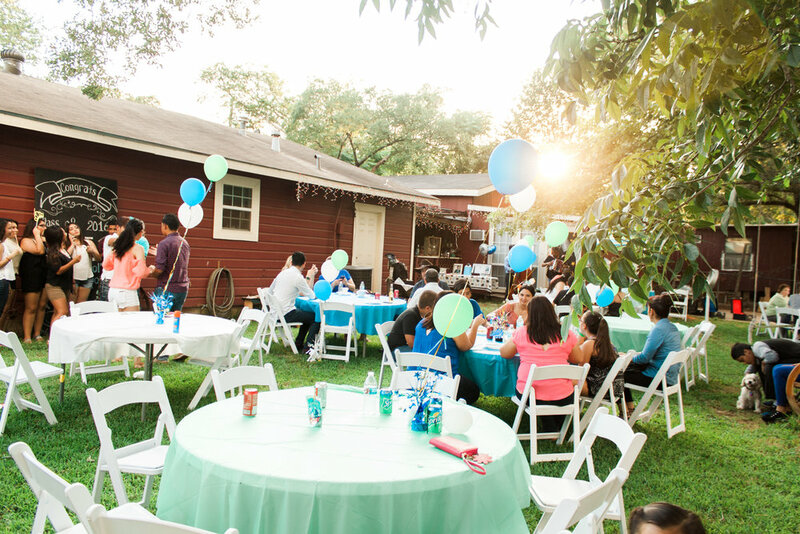 It was a lovely time, thanks Alejandro & Family for letting me document your grad party! I still look at mine from 11 years ago (WOW I feel old!) and reminisce over the photos that we took.